DC RPG: The Hero Points Podcast, Episode 7: Don't Ask! Thanks for listening! Let’s Roll! 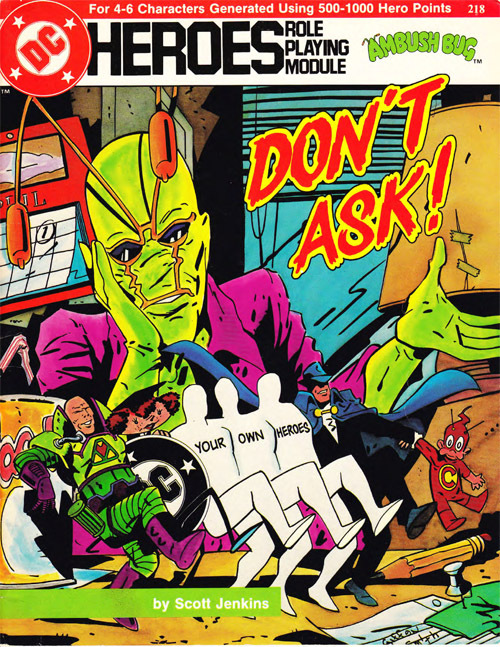 Select images from the Ambush Bug DC Heroes adventure, Don’t Ask! 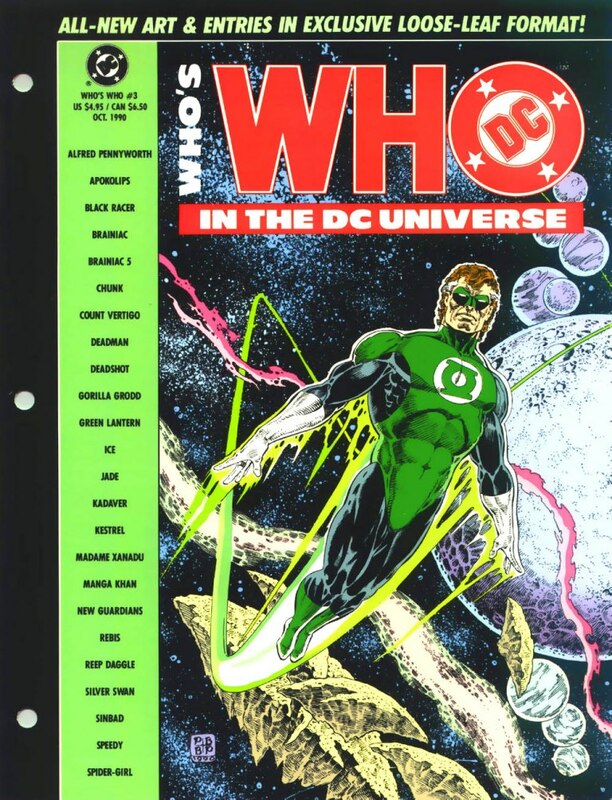 (new cover by Keith Giffen). Leave your comments over on the podcast post by clicking here! FW Presents: Mountain Comics #11 - Captain America Battles Baron Blood! FW PRESENTS: MOUNTAIN COMICS #11 – CAPTAIN AMERICA BATTLES BARON BLOOD! It’s the debut of Season 2 of Mountain Comics! 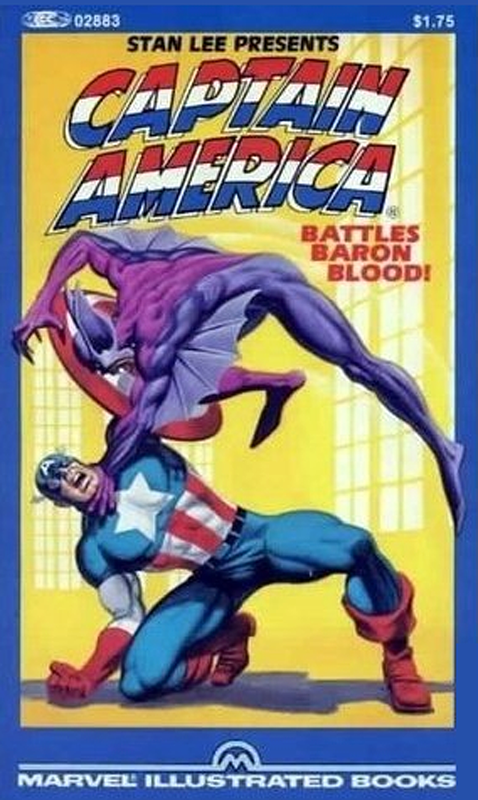 Rob welcomes Derek William Crabbe (HISTORY OF COMICS ON FILM) to thumb through the Marvel Illustrated paperback CAPTAIN AMERICA BATTLE BARON BLOOD, featuring stories by Roger Stern, John Byrne, and Josef Rubinstein! Images for FW PRESENTS: MOUNTAIN COMICS #11 – CAPTAIN AMERICA BATTLES BARON BLOOD! Leave your comments over on the podcast post by clicking here! Tracy tries some Gallic horror this time, as Rob shows her Henri-Georges Clouzot’s 1955 classic DIABOLIQUE! 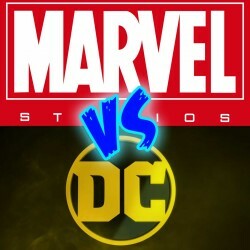 What is the best superhero movie from Marvel or DC? We’ve all wondered at one point or another, and we aim to find the answer! 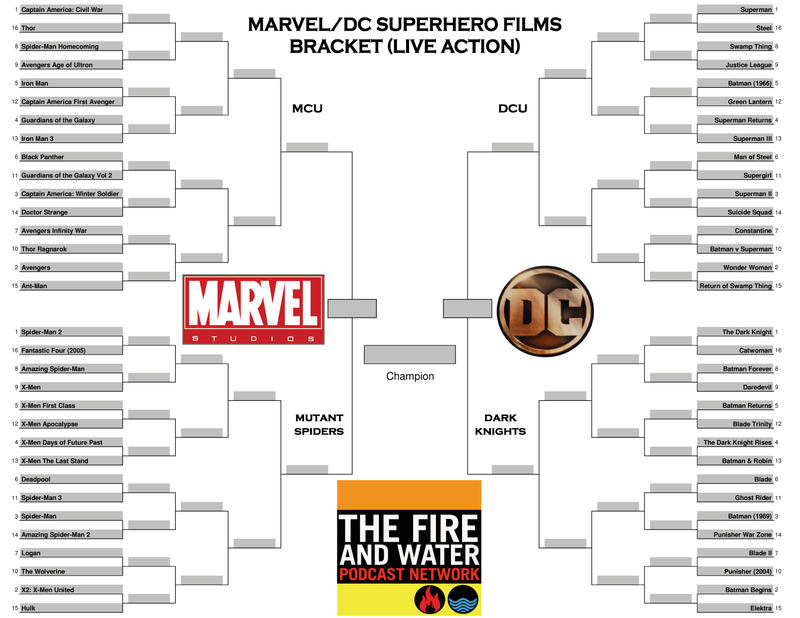 Coming in June, it’s the MARVEL/DC SUPERHERO FILM BRACKET (LIVE ACTION)! 64 films from the big two comic publishers go head-to-head in this bracket fight decided by four panelist and moderated by The Irredeemable Shag! And YOU can win FIRE & WATER merch if you guess the most match-up results correctly! Here are the opening bouts! Grab a copy of this sheet, fill it out completely and send to The Irredeemable Shag before June 7, 2018 to enter. One point per match-up correctly entered. Ties broken by coin flip/dice throw. Identity of panelists secret until broadcast. Panelists film criteria entirely their own. Winner announced during the actual bracket podcast released in mid- to late-June. Coming in June, it’s the MARVEL/DC SUPERHERO FILM BRACKET (LIVE ACTION)! 64 films from the big two comic publishers go head-to-head in this bracket fight decided by four panelist and moderated by The Irredeemable Shag! And YOU can win FIRE & WATER merch if you guess the most match-up results correctly! Good luck to those that enter, and may the best live action superhero movie win!